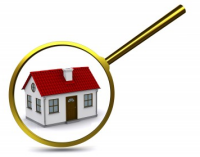 How to Detect Mold Problems in a New Home or New Construction? Posted on July 20, 2012 at 3:50 pm. Why Would a New House Have a Mold Problem? You would think because your home was purchased when it was brand new that you wouldn’t have to deal with mold problems. In fact, for most new home owners, this is probably one of the last things on their mind. Instead, they are focusing on window treatments, landscaping and wall decor because they think they are safe…this is a new home you know! Incidence of mold occurring in new homes is growing rapidly. In fact, the issue of mold in new construction could become the asbestos or leaded paint issues from previous eras. It’s easier to detect mold in living areas than it is in foundational areas. 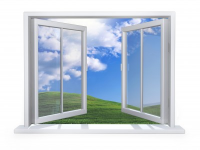 Newer homes are also being build much “tighter” than were the homes of the past, which means there is less air flow, keeping more moisture inside and giving mold fertile territory to begin growing. Another problem that newer homes have is when construction errors occur, and they do, because even the best of us makes mistakes. There was a show on a Home Improvement Chanel on the other night that featured a young family with 2 young sons, a toddler and an infant, who had recently moved into a new home. Both children became very ill…stomach aches, coughing, runny noses and even vomiting. Then the parents began experiencing bronchial problems as well. One day after it had been raining, the mother noticed some water coming in one of the upstairs windows in the baby’s bedroom. Because the walls and the carpets were so wet it occurred to her there might be a mold problem. Due to the fact the windows didn’t have a good seal and the moisture barrier wasn’t installed correctly, water had consistently been entering the house, and sure enough they had mold, in the carpet and on the wallboard, not just in that room but in several other areas also. Because they didn’t know how widespread the mold was, the family moved out until they could get the mold removed and the house put back together by professionals. Mold had made this entire family very ill.
Don’t assume that because you are in a new home that you couldn’t have mold problems. Remember too that just because you can’t see it doesn’t mean it isn’t there. For your peace of mind and the safety of yours and your family’s health, if you think you have a mold problem, give us a call, and have it remediated properly.